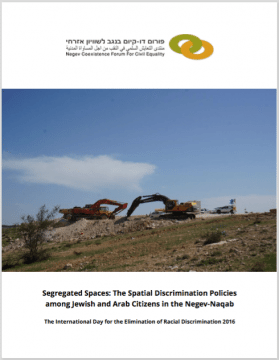 On the international day for the elimination of racial discrimination (March 21, 2016) the Negev Coexistence Forum (NCF) published a new report exposing the state’s mechanisms to ensure spatial segregation among Arab and Jewish citizens. The report reveals a number of instances of discrimination, including the use of admission committees to exclude non-Jewish families from obtaining housing in new settlements, the high numbers of segregated Arab and Jewish communities, and the obstacles set up to maintain this segregation. The Be’er Sheva region comprises about 60% of the land of Israel, but only 8.2% of its population. While the Arab-Bedouin community comprises 31.4% of the region’s population, only 12.5% of settlements are designated to the community. Admission committees operate in 91.2% of the 126 Jewish settlements in the Negev, serving as a major roadblock for preventing Arabs from moving to these settlements. Over the last couple of years there is a growing trend of Bedouin families moving to the 11 Jewish towns in which there is no admission process. Although the State of Israel ratified the International Convention on the Elimination of all Forms of Racial Discrimination in 1979, the State has continued to violate the convention’s prohibition against discrimination based on race, color, national or ethnic origin, regarding, among others, the right to choose your place of residence. As presented in the report, the Economics Committee of the Knesset is responsible for the decision to establish segregated towns for Bedouins only, and since then, different state authorities defended in the High Court of Justice the right of the State not to lease plots to Jews in the Bedouin towns. The Knesset amended the Admission Committee Law in 2011, which created further obstacles for the creation of integrated communities. In the precedent established by Karmit, a settlement for 2,500 household units, the State of Israel and its authorities defended in court the right to operate an admission committee. Although this policy has existed for many years, the issue of residential segregation continues to be relevant today. While the Bedouin community is facing a dire housing shortage due to the lack of plots in the Bedouin towns, and recognized and unrecognized villages are without state planning, the Israeli government continues to approve more and more settlements designated for the Jewish population of the Negev. 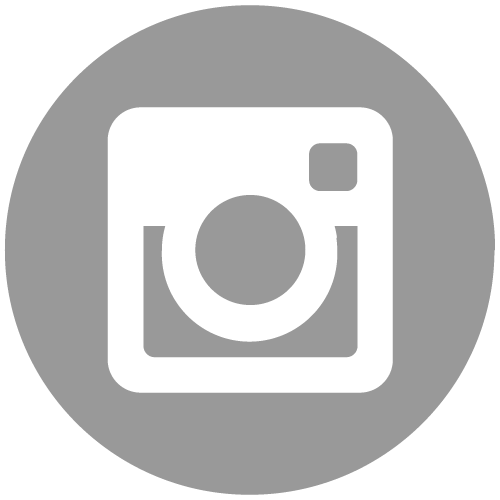 We hope that you will find the report interesting as well as useful, and promise to keep struggling against racial discrimination in the Negev-Naqab.